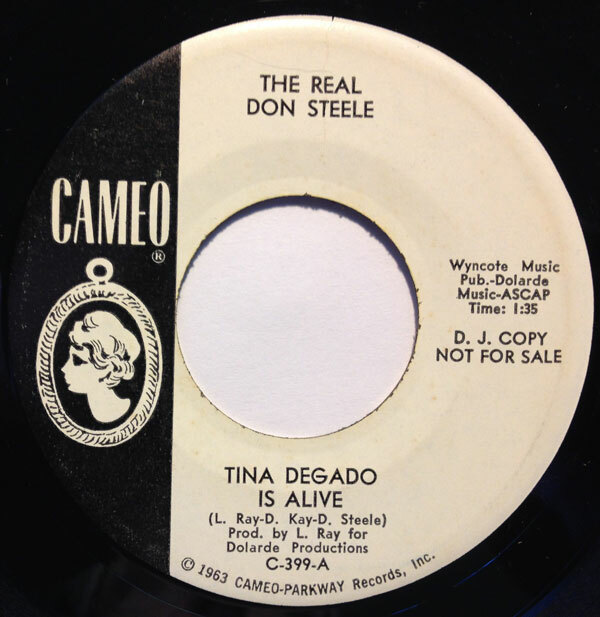 Real Don Steele – Tina Delgado Is Alive! I have long been fascinated with 1960s radio, especially the SoCal powerhouse KHJ, which featured (among others) the mighty Real Don Steele. Oddly enough, I knew of Steele’s work as a thespian, in movies like ‘Rock and Roll High School’ and ‘Death Race 2000’ before I had any inkling of his status as one of the most popular and successful DJs in history. 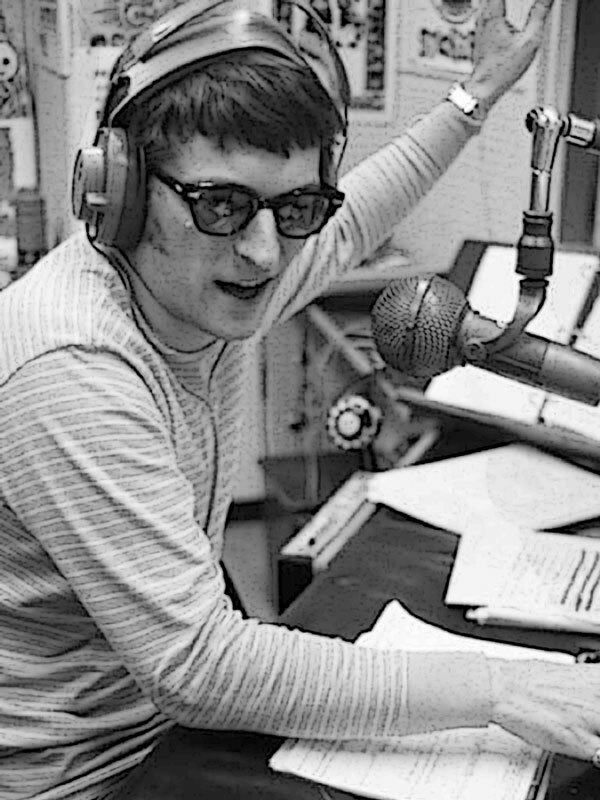 Steele was born and raised in SoCal and worked in radio all over the region before helping to launch 93/KHJ in 1965. Steele wasone of the all time great motormouth DJs, taking the slick, Top 40 AM style and adding a tremendous amount of dramatic/comedic flair. Among his most famous hooks was his cry of ‘Tina Delgado is alive, alive!’ which he used to punctuate his patter (yet never explained). It became so popular that he found his way into a recording studio in 1966 to make his one and only 45, ‘Tina Delgado Is Alive!’. The tune is a raging bit of Sunset Strip fuzz-au-go-go madness with combo organ, guitar and naturally, Real Don Steele screaming on top of it all. It’s a fantastic relic of the time, and surprisingly hard to find (I suspect it made no sense to anyone that wasn’t in the 93/KHJ listening area. I dig it a lot, and I hope you do too. See you next week, and Happy New Year! I come to you this holiday season with the slightly shocking realization that I am prepared with songs for a Christmas post this year. It was a few years back when I first heard/heard of the record you see before you today. 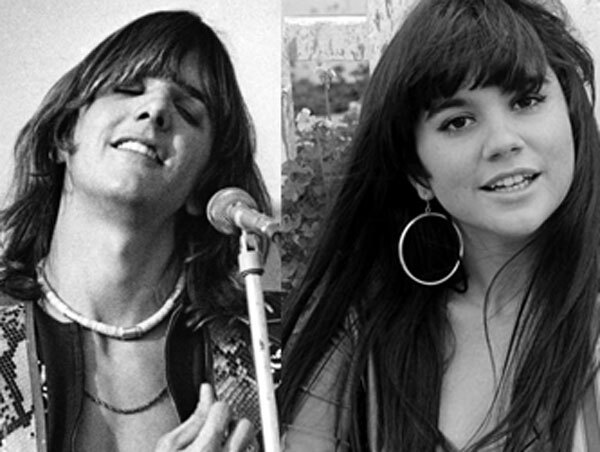 The Christmas Spirit was a one-off studio supergroup featuring Howard Kaylan and Chip Douglas of The Turtles , Gram Parsons and Linda Ronstadt (among others). They gathered in the studio in 1968 and laid down the two sides of this single. 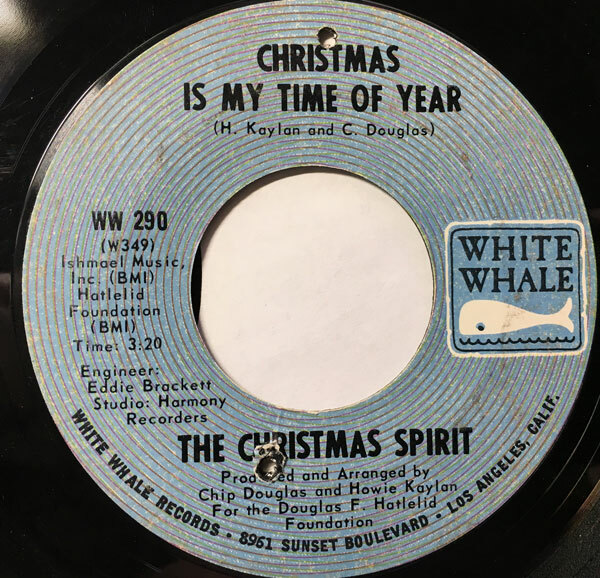 The A side, ‘Christmas Is My Time of Year’ written by Kaylan and Douglas is a cheery, upbeat group singalong in the holiday spirit. It was covered by the Monkees in the 1970s. It was on the flipside, however, that we discover no less than a lost treasure. Considering the breadth of the cult of Gram Parsons, you’d think that this record would be far less obscure than it is (though the single itself is on the rarer side and fairly difficult to put your hands on). 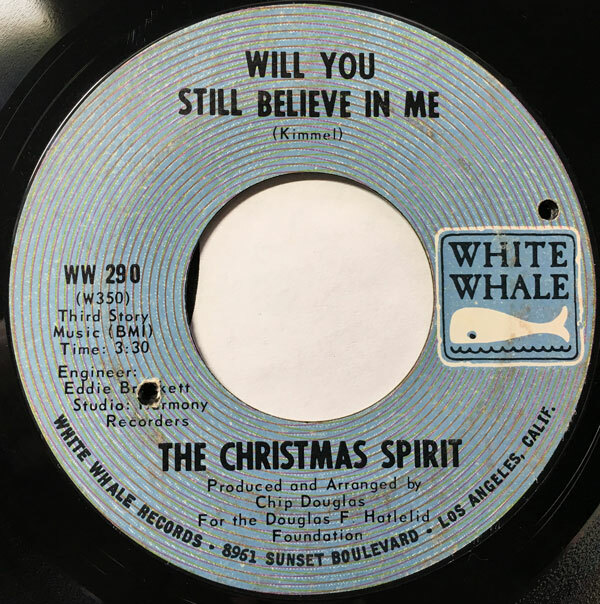 ‘Will You Still Believe In Me’, written by Bob Kimmel of the Stone Poneys is a beautiful, haunting ballad featuring a great lead vocal by Gram, and a harmony appearance by Ronstadt that sounds eerily like Gram’s future singing partner Emmylou Harris. It’s the kind of song that in a just world would be a holiday perennial, instead of a rarity/collector’s favorite. I’m always a little stunned that it hasn’t been included on any Gram Parsons-related comps, either. Both sides of the 45 were collected on ‘Out Of Nowhere: The White Whale Story Volume 2 – Phantom Jukebox Vol.3’ by Rev-Ola in 2004. I hope you dig the tunes, and that you all have a happy holiday. The record I bring to you today is one of those things I have loved for decades but only put my hands on in vinyl form very recently. I probably knew of the Pentangle for close to 40 years, but only started to investigate their music in the mid-80s when I first got into Nick Drake, and then on into UK folk rock of the 60s and 70s. I made the direct conection of the Pentangle via one of their two amazing guitarists, the brilliant Bert Jansch, and first hear ‘Light Flight’ on a UK folk rock comp sometime in the late 80s. The tune stood out because it was at once wholly of its time and also unmoored to the sound of 1969. 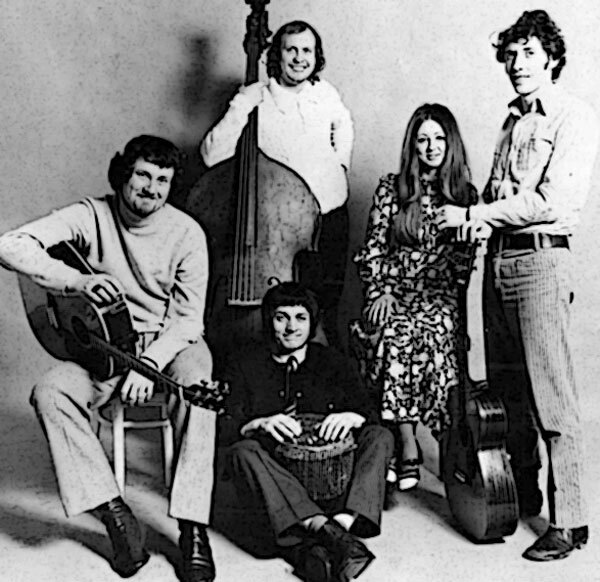 Pentangle formed in 1967, when Jansch and John Renbourn were already established on the folk scene as performers and recording artists. They joined up with vocalist Jaqui McShee, bassis Danny Thompson (who would go on to record with Nick Drake) and drummer Terry Cox. They were – like Fairport Convention – at least as Jefferson Airplane-y as they were mystical British Isles folk, with Pentangle also bringing in an element of jazz to their sound. 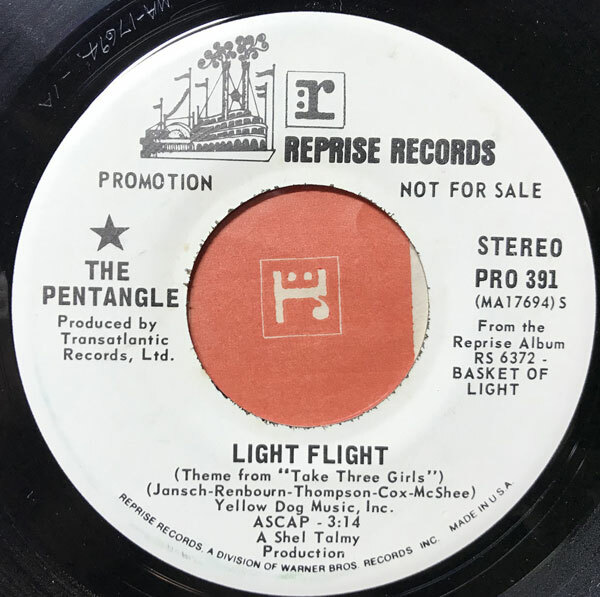 ‘Light Flight’ originally appeared on the group’s 1969 LP “Basket of Light’ and was also used as the theme to a BBC TV drama called ‘Take Three Girls’. It is a fascinating piece of music, as it is simultaneously jazzy (thanks in large part to Terry Cox’s drumming), dancing around the periphery of psychedelia and almost entirely acoustic which associates it with the folk scene without really being ‘folk’ music at all. There is a waltz-time at the heart of the piece, with Thompson’s bass and the guitars of Jansch and Renbourn dancing around each other. McShee’s vocal is hypnotic, especially when she is double-tracked duetting with herself. It is a very groovy, and very unusual 45. If you are a listener of the Iron Leg Radio Show, you have certainly encountered the songs of the great Margo Guryan many a time. Guryan was one of the most interesting composers of the 1960s, and a few of her songs became a certain kind of underground ‘standard’. ‘Sunday Morning’ was the most prominent of these, with hit versions by Spanky and Our Gang in 1967, a number of non-hit recordings (Julie London’s is very nice indeed) and today’s selection, which was a hit for Oliver in 1969. 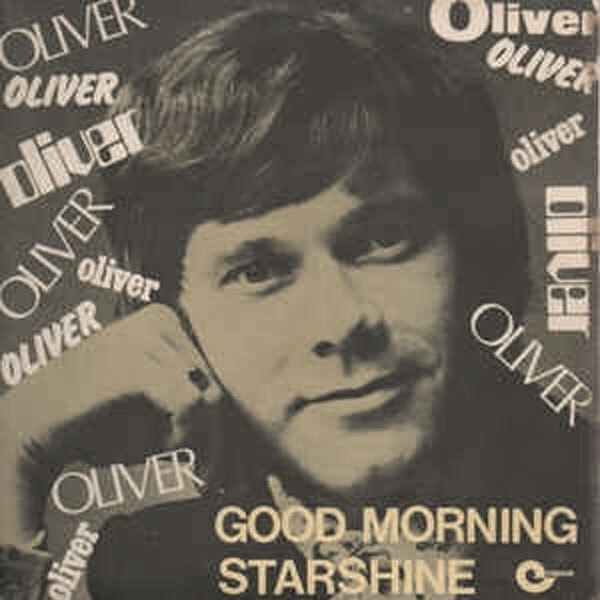 Oliver aka William Oliver Swofford, is best remembered to my generation and those older for his huge 1969 hit with ‘Good Morning Starshine’ from HAIR. He had a few other hits in the late 60s and early 70s, including ‘Jean’ (almost as big a hit as ‘Good Morning Starshine’) later in 1969, and today’s selection which made it into the Top 40 near the end of that year. 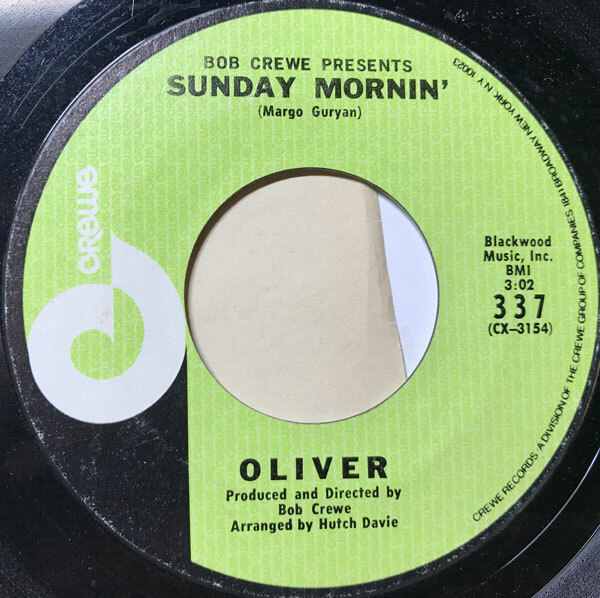 His version of ‘Sunday Mornin’, produced and arranged by Bob Crewe takes the already haunting vibe of the song and manages to turn it up a bit while giving it an expensive treatment that takes full advantage of Oliver’s soaring tenor and adding in elaborate orchestration. It’s one of my favorite versions of the song, removing it from its intimate context and opening it up in ambitious ways. I dig it a lot, and if you’re not familiar with Guryan’s songs, it should make a nice jumping off point. 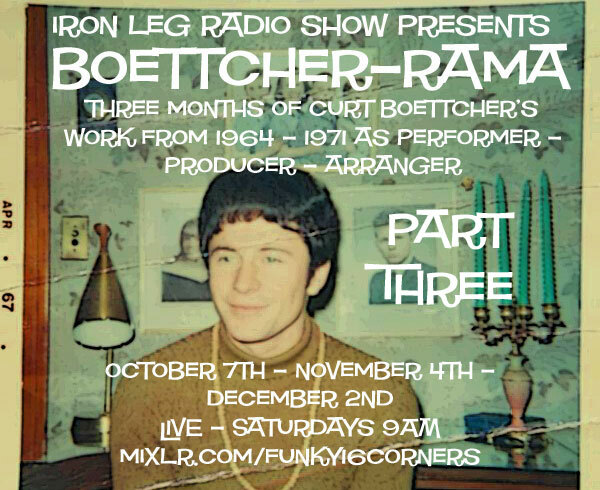 This month continues my look at the work of Curt Boettcher as performer, composer, producer and arranger starting in 1968 and moving on into the early 70s. This episode looks at some very groovy foreign covers of his songs, and more production work with groups like Eternity’s Children, Song and Moses Lake. Though this is the last in this string of episodes it’s very likely that there will be a fourth volume in 2018.